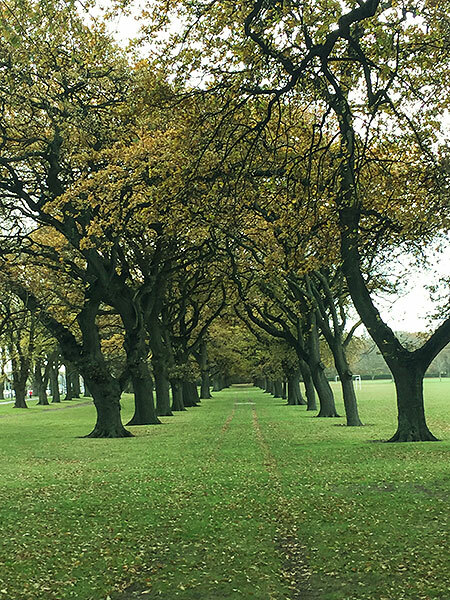 Kia Ora, it’s now been 6 weeks since we arrived to a very unseasonably warm Christchurch – how the time has flown. Our first stint at house-sitting was in the suburb of Opawa, pronounced O-pa-wa, not Op-a-wa as the locals were quick to correct us. We were house sitting for two guys, Gordon and Darren who were off on a 4 week holiday to the UK and Europe, including a family wedding. Our job as house sitters was to look after the house and garden and 3 free range chickens. The looking after the house and garden was easy but we never thought that looking after 3 chickens would be so involved. These are the best looked after chickens in Christchurch. Their diet consisted of grain, pellets, banana, milk and Chinese cabbage. 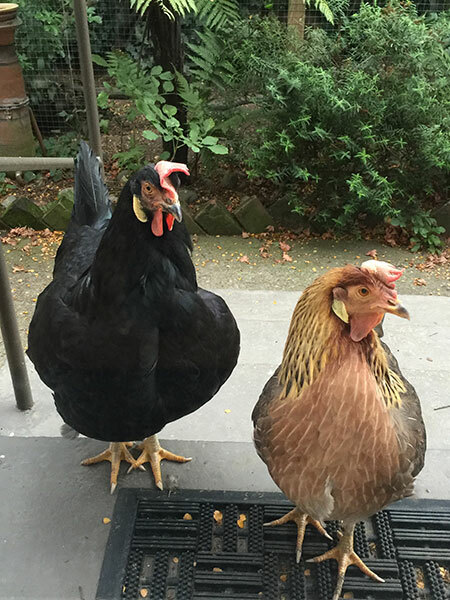 One daily chore was to clean out their chicken coop of their chicken poop and to scour the garden area they roamed in throughout the day and ‘pooper scoop’ this area as well. Nothing less than a most pristine environment for “the girls” as they were affectionately known. The girls have the run of half the property which was covered with an extensive and well planned out veggie garden. Anyway, all went well with this house sit and Gorden and Darren were really pleased with how we looked after their home and beloved chickens. 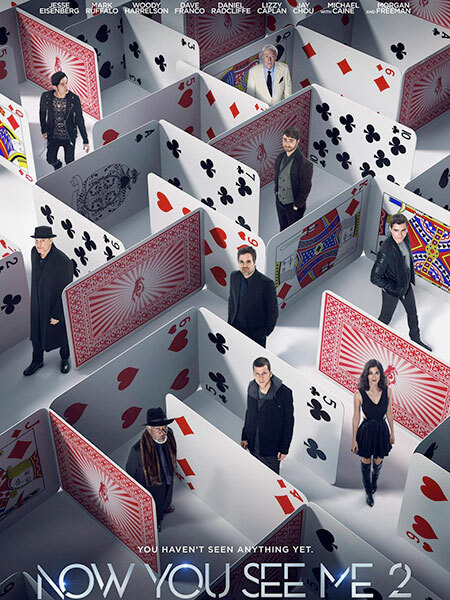 During our time in Christchurch we had time to catch a few movies – Now You See Me 2, Florence Foster Jenkins, The Man Who Knew Infinity, The Hunt for the Wilder People (a NZ film) and Me Before You. 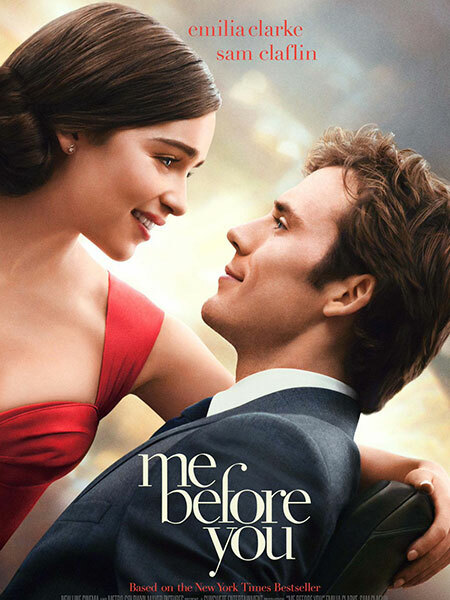 If you intend to see Me Before You make sure you take a box of tissues, you’ll need them. We both agreed it was the saddest film we have ever seen but would definitely recommend it. 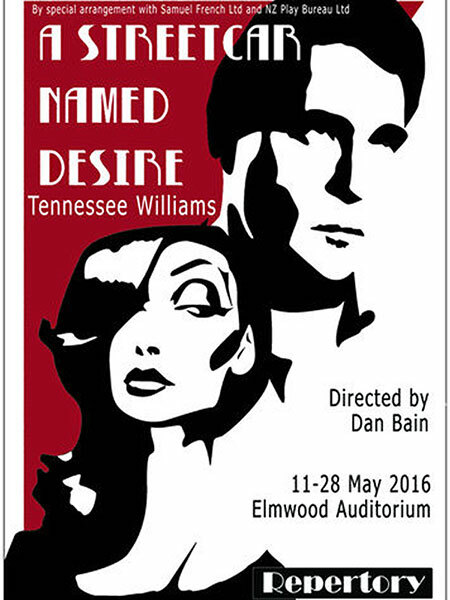 We also got to see a production of “ A Street Car Named Desire” by Christchurch’s Repertory Theatre. They should have called it “A Street Car Named Disaster” ! It wasn’t a good production on any level. Certainly not of the standard of Hunters Hill Theatre! 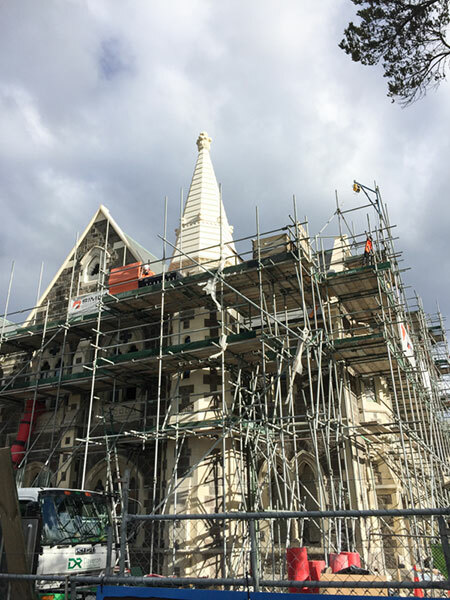 Christchurch is slowly being rebuilt since the devastating earthquakes of 2011. The locals seem to be very frustrated with the lack of progress with the rebuilding but we have noticed a huge difference since we were here 12 months ago. It’s an exciting time to be here to see the city rise up out of the rubble. 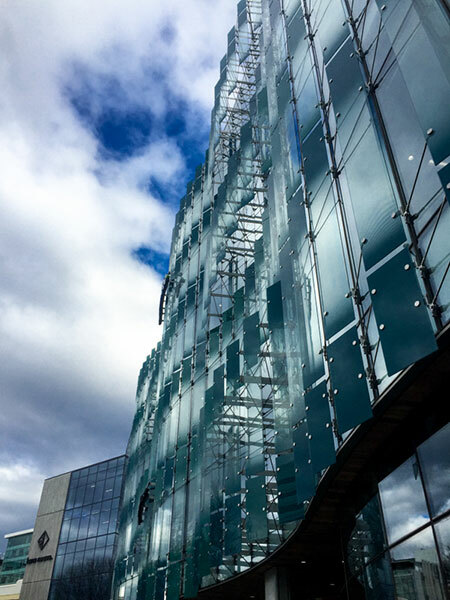 Most of the new buildings so far are very modern glass structures which is entirely different from the old Christchurch that consisted mainly of early 20th century architecture. Unfortunately most of these older buildings were destroyed by the earthquake. 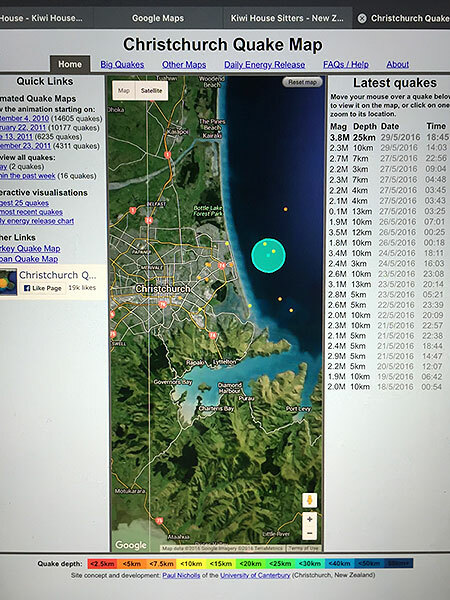 Speaking of earthquakes, we experienced two whilst we were in Christchurch. Whilst there are small tremors almost everyday, the locals only get excited when a quake registers over 4.5 on the Richter scale. There is a website that records in great detail every quake that happens across Christchurch. One looks at that website daily as if we would look at the weather reports in Sydney. One building that is now back in full swing, is the Christchurch Art Gallery. This building became the command centre for the rescue operations following the earthquake. Whilst it avoided any major damage during the quake it was out of commission for a number of years. Along the side of the Art Gallery there is a neon sign installation that fairly well sums up the situation in Christchurch at present, it reads “EVERYTHING IS GOING TO BE ALRIGHT”. 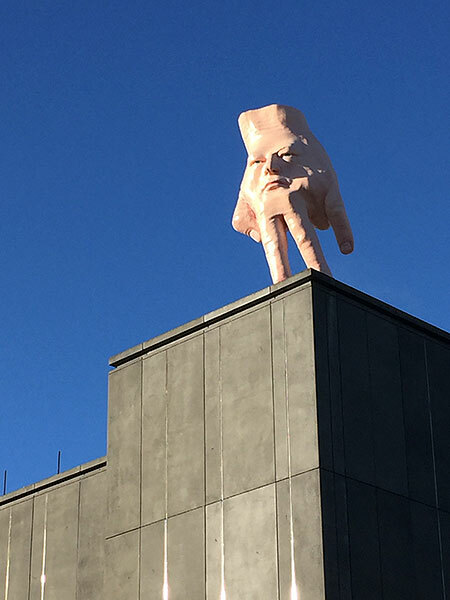 The Art Gallery just installed a newly commissioned sculpure on its roof of a freaky hand that has the face of the artist on the back. 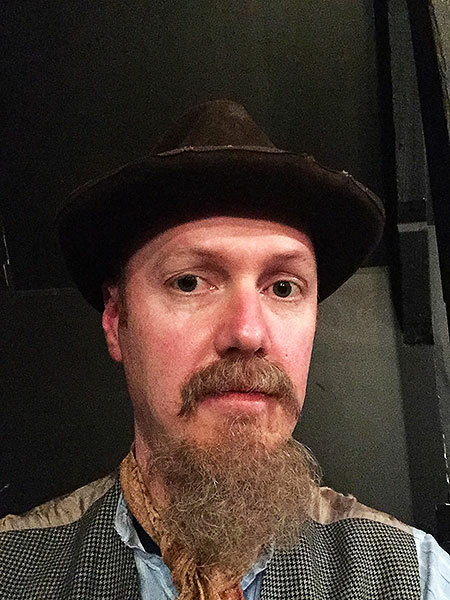 During our time in Christchurch we both applied to be extras in a NZ film called “Stolen” which is set during the Gold Rush period in NZ. Andrew got a call up for a one day shoot. With fake beard attached he look uncannily like his eldest brother, Will. Unfortunately I didn’t get a call up until the night before we were to leave Christchurch so my movie career is on hold for now! 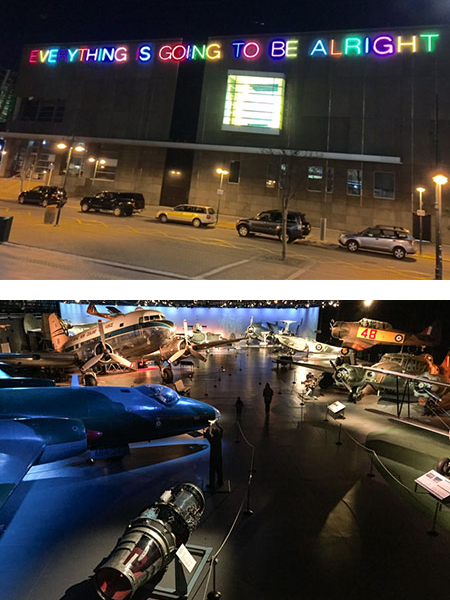 An unexpected find on a drive one day was the Air Force Museum at Wigram, an outer suburb of Christchurch. Not something we would have normally chosen to see but were pleasantly surprised at the quality of displays and exhibitions of aircraft and air force memorabilia. We spent a good couple of hours exploring the museum and learning about the history of NZ’s Air Force. 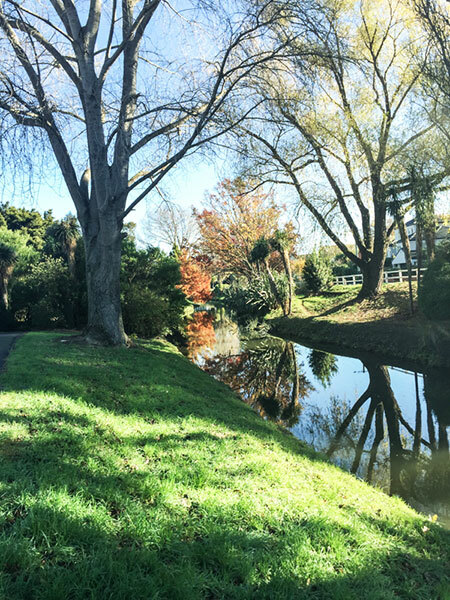 There is lots to see and do in Christchurch so if you are thinking of making a trip to NZ we would definitely recommend you spend at least a few days here exploring this beautiful part of New Zealand.